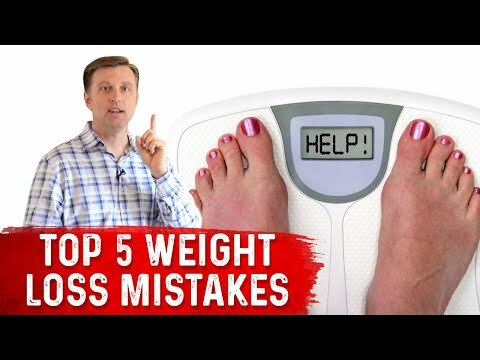 There are so many different approaches to weight loss that it can be hard to choose the program that will work best for you. There is so much media coverage and hype about weight loss that it is hard to sift through the information and misinformation to separate fact from fiction. When evaluating weight loss information, it is always important to consider the source. The fact that something is printed in a book or magazine or appears on a website does not make it valid information. Look for validation by multiple scientific studies before you assume the information is credible. There is an overwhelming presence of bad information disguised as science that is being promoted as fact in the media and online. Make sure that any information you credit as being based in scientific fact is actually based on unbiased research conducted by legitimate scientists operating independent of corporate sponsorship. Always make sure that you know the source of information about weight loss programs. Keep in mind that advertisements promoting amazing and immediate results of weight loss products typically indicate in small print that the results presented in the promotional materials are not typical. One or two examples of immediate success isn�t sufficient to establish a fad diet as a legitimate weight loss program. Professional nutritionists and personal trainers can be excellent resources for legitimate nutritional and weight loss advice. The best weight loss programs involve implementation of lifestyle changes related to diet and exercise. Nutritionists and fitness professionals can help you unlearn the bad habits that led to your weight problem in the first place. Further, they can implement the nutritional changes necessary for weight loss and maintenance. Additionally, joining a gym, working with a personal trainer, and working with a nutritionist can be great ways to get moral support and guidance that can help you accomplish your weight loss goals. As you begin your diet and exercise program, it is very important for you to monitor your progress. Tools that can help you keep track of changes in your weight and fitness levels include a scale, a tape measure, a body mass index (BMI) calculator, a tool for measuring body fat percentage, and a calorie counter. Depending on the type of exercise program you implement, it may also be beneficial to use a heart rate or pulse monitor. Some people also find food scales and food diaries to be useful. When making a decision about the weight loss program you will use to help you achieve your fitness and health promotion objectives, taking the time to research your options is very important. Be careful not to fall for the latest fad, which is likely just to lead to frustration and disappointing results. The only proven method for long term weight loss is a combination of proper diet and exercise. When you expend fewer calories than you consume, weight loss occurs. Any fad diet that promises weight loss results through any other means isn�t likely to benefit you in the long run.